The District of Columbia enacted a new law affecting contributory negligence in cases involving collisions between motor vehicles and pedestrians or bicyclists. (2) Greater than the aggregated total amount of negligence of all of the defendants that proximately caused the plaintiff’s injury. Id., D.C. Code Ann. ST § -3. A “non-motorized user” includes a person “using a skateboard, non-motorized scooter, Segway, tricycle, and other similar non-powered transportation devices.” Id. 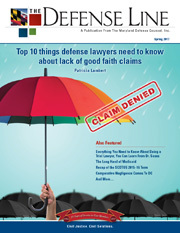 The law specifically states that it does not affect the doctrines of joint and several liability or of last clear chance. Hopefully, this law is simply a recognition of DC’s urban landscape and is not a harbinger of things to come in the District or Maryland, which are two of the five jurisdictions which recognize contributory negligence as a complete bar to a plaintiff’s recovery. 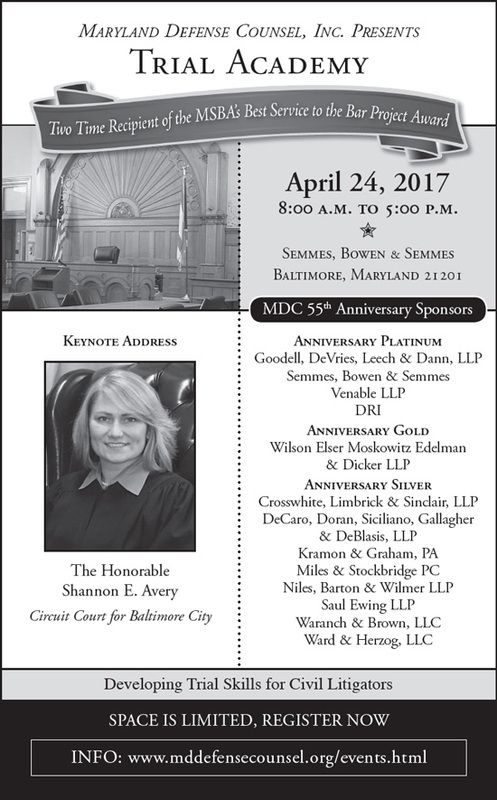 Mary Malloy Dimaio is a partner at Crosswhite, Limbrick & Sinclair, LLP in Baltimore. She is a past president of MDC.